One way to interpret what’s happening now is that the inherently unstable balance of the last 14 years is breaking. For almost a decade and a half, Venezuela’s been sinking deeper into a Cold Civil War, a situation where extreme eliminationist rhetoric and over-the-top professions of animosity went alongside a kind of tactical day-to-day tolerance. Chávez’s extremism, his dismal vow to turn opponents into polvo cósmico, stayed largely – mostly – at the level of rhetoric. Venezuela has dozens of political prisoners, not hundreds or thousands. Dissent was repressed sporadically and selectively, rather than systematically and comprehensibly. The result was something I’ve written about constantly since 2002: a yawning gap between extremism in speech and moderation in practice that was the defining mark of the Chávez era, and a constant driver of opposition paranoia and government dreams of final revenge. While Chávez was alive, this tension was never going to be resolved one way or the other. The guy was congenitally incapable of dialling down the rhetoric and politically unwilling to ratchet up repression to the point of matching the extreme talk. And so, the cold civil war mindset developed and grew roots. Chávez’s death destabilized all that. Maduro doesn’t have any of the assets that allowed Chávez to make Cold Civil War viable over a period of many years. He doesn’t have the charisma. He doesn’t have the personal authority. And he doesn’t have the money. He doesn’t have the luxury that those assets extended to Chávez of leaving the underlying tension unresolved. He has to resolve it. And that, basically, is what we’re witnessing this week. Any excuse was going to be good enough for Maduro to try to bring Venezuela to something much closer to the actual Cuban model of dictatorial control. For all his elaborate guarantees of representing continuity, what we’ve been seeing this week is something far more radical than anything Chávez ever tried to institute in his lifetime. Henrique Capriles merely provided one pretext, but any other would have been just as good. 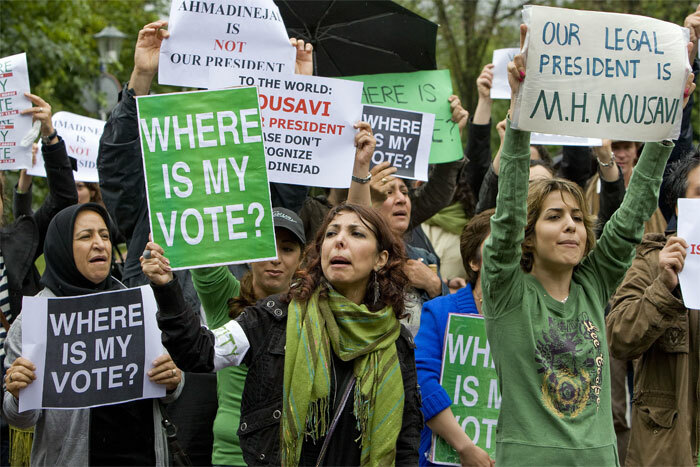 We are, in other words, where Iran was soon after the 2009 election. As opposition deputies are physically assaulted and stripped of their committee chairmanships, as groups of protesters are faced with buckshot and teargas, as people die and the government lies about how they died, as Leopoldo López and Henrique Capriles try to dodge the arrest warrants now out for them, the concern about actas and irregularidades is beginning to look outdated less than a half a week after the fact. This is no longer, I’m afraid, really about that. MUD’s options are closing fast, its supporters role reducing dramatically to a choice between cannon fodder and passive acquiescence. I’d love to tell you there is some magic thing Henrique Capriles can do at this point to short circuit the process that was unleashed late on Sunday night. But I don’t really believe there is.